Skilled Nursing Fairfax: How Much Training Does A Nurse Have? What Training Does My Medical Support Have? 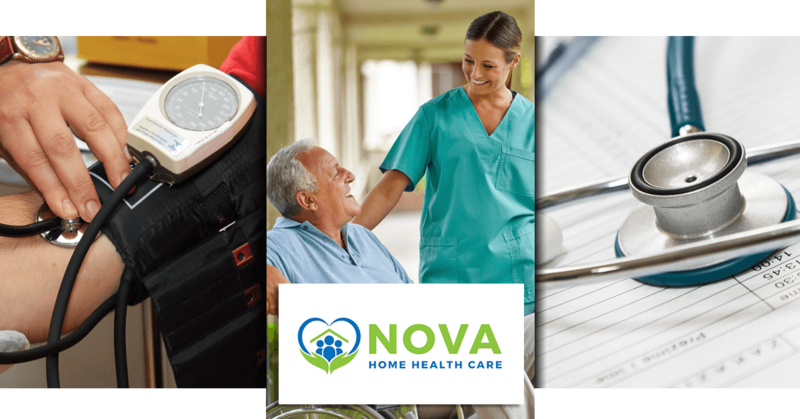 Here at Nova Home Health Care, we provide a variety of support services for folks who need care in their home. Of all of our in-home care services, we offer skilled nursing services for those who need medical care from the comfort of your home. Now, you may be asking yourself: How much training do our nurses have? Well, our staff includes Certified Nursing Assistants (CNAs), Licensed Practical Nurses (LPNs), Registered Nurses (RNs), as well as Nurse Practitioners (NPs). Each of these nurses or nurse’s assistants have a certain degree of training and experience under their belt. As such, they can perform various tasks depending on the amount of training they’ve received. Today, we’re going to dissect exactly how much training is required for each certification, as well as the type of care each practitioner may provide. CNAs aren’t actually considered nurses, since they are technically nursing assistants. However, they still have to undergo education, training, and testing to gain CNA certification. CNAs must take courses and training to attain a certification, and requirements for certification vary state by state. Here in Virginia, CNAs must pass an evaluation to gain their status as a Certified Nursing Assistant. You can learn more about CNA requirements here in Virginia from NursingLicensure.org. CNAs can perform minor tasks, including moving patients, assisting patients with hygiene, recording information on a patient’s medical chart, collecting samples, and more; however, a CNA operates under the direction and supervision of another, more trained medical professional—which may include an RN or NP. LPNs can perform a variety of tasks, including dressing wounds, performing lab tests, minor surgeries, providing injections, and more. Plus, they can perform any tasks that a CNA would otherwise perform. LPNs often work in a long-term care facility to earn experience and further education. Nurse Journal tells us that nearly 30 percent of LPNs work in long-term facilities over other facilities. Next on the scale, we have Registered Nurses. An RN has all of the training and experience necessary of an LPN. However, RNs are required to attain an associate’s degree (whereas CNAs and LPNs are not). RNs often earn a bachelor’s degree of science in nursing, in lieu of an associate’s degree. Registered Nurses often pursue specialized fields of treatment, and as such, they have a more specialized skillset than Licensed Practical Nurses often have. Their role may include diagnosis and treatment of patients, as well as supervision over LPNs and CNAs. Since RNs often specialize their education and experience, RNs may have vastly different duties, depending on their specialization. Nurse Practitioners are the most educated and certified nurses. To become an NP, you must attain a master’s degree, and you’re required to pass an exam to attain a license. Unlike other nurses, NPs often work without supervision; they may work independently in a private practice. Like RNs, NPs usually specialize their education and practice. NPs may specialize in gerontology, psychiatry, or any other medical field. Nurse Practitioners may also supervise RNs and LPNs. For unmatched care from the comfort of your home, count on the nursing team here at Nova Home Health Care. We provide a variety of specialized services which are designed to perfectly match your demands and desires. Our services include skilled nursing services, speech therapy, physical therapy, post-surgery care, dietitian services, discharge and outpatient services, home health aide, and occupational therapy. Learn more about our home health care services, and get in touch with us if you have any questions or if you’d like to get started! We provide home health care services for folks throughout Fairfax, Virginia and the surrounding area.